Buddhist practice is designed to free one from suffering, leading to peace. 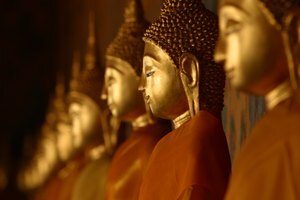 Buddhism began with the life of Siddhartha Gautama, a prince born around 500 B.C. in what is now Nepal. 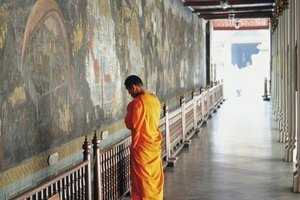 Upon seeing the suffering in the world, Siddhartha renounced his throne and sat in meditation for six years until he reached what he later described as an enlightened state of being, a free mind -- nirvana. 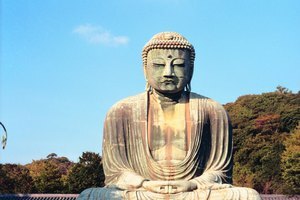 The Buddha, as he is now known, then spent the rest of his life teaching what quickly became thousands of followers of the path to enlightenment, and it was these teachings that have been compiled as the foundations of Buddhism. While basic Buddhist practices include a variety of components, the Buddha taught that there is no single path to enlightenment, no one way to worship, and with the divergence of multiple forms of Buddhism in today's cultures, there have become many different forms of Buddhist practice. However, regardless of any of these factors, the essential components of all Buddhist worship remain the same. 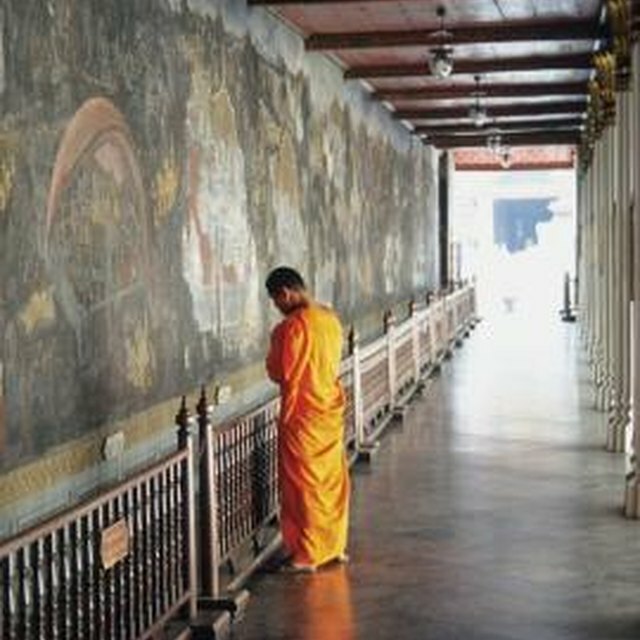 Buddhists are not required to practice in a temple or monastery; instead, most worship practices occur in one's own home. Traditionally, practitioners set aside a room or an area of their home. Nearly every form of Buddhism suggests setting up a shrine both to make offerings and to aid in meditation, as it creates a peaceful environment and direct images for visualization. Typically, a Buddhist practice begins with prostrations, a form of bowing, and offerings. On a shrine these offerings represent the five elements: water, fire, air, earth and wisdom, and as such, offerings include water, candles, incense, flowers, and rice offered while reciting specific mantras. The portion of Buddhist practice that varies the most among cultural traditions and individual practice is the set of prayers that are recited. Prayers can be made through recitation of Buddhist scripture (the Buddha or other guru's teachings), chants, mantras, dedications and simple prayers for yourself, your lineage or others. Regardless of the variations, the most common prayers for Buddhist practice involve opening the practice with thanks and clearing of obstacles, followed by mantras and chants. The practice is then closed with prayers for the long life of gurus and the teachings as well as a dedication of the merit accumulated through the practice to be shared with all beings. Though many people think of there being a right and wrong way to approach meditation, this is not the case. Within the Buddhist tradition meditation can be approached by attempting to clear the mind; to focus on something within the body, such as breath; or outside the body such as a candle, to follow the thoughts that arise to their origins and much more. Regardless of what form your meditation takes, the goal is always the same -- to change the way the mind works. Meditation can be focused on clearing away obstacles in the mind, focusing or calming the mind or simply cultivating love. The Buddha also described meditation as being possible when sitting, standing, lying down and walking. Visualization is an essential part of many Buddhist worship practices. 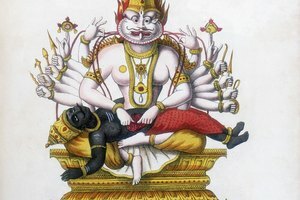 The statues that are found on shrines and in temples are not actually used for veneration but, instead, as aid for these visualization practices themselves. These practices are used as their own form of prayer to clear obstacles and cultivate love and compassion within the practitioner and to send loving-kindess out into the world. Visualization is not a practice to be taken lightly and is explained in some of the deeper parts of the Buddha's teachings. As they can be used to create and remove specific attributes within a person, they are described as very powerful techniques. Andras, Tiffany. "The Buddhist Worship Ceremony." 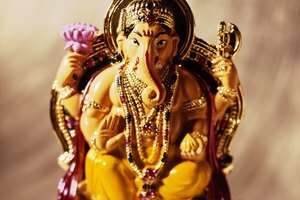 Synonym, https://classroom.synonym.com/the-buddhist-worship-ceremony-12086824.html. 29 September 2017.